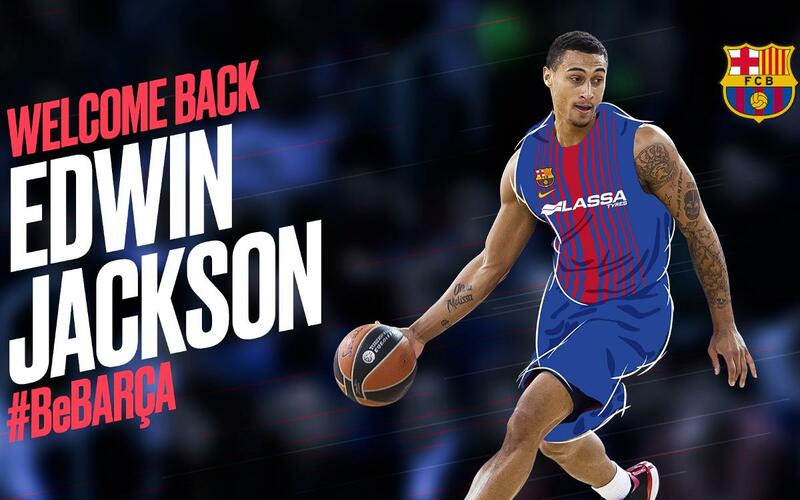 Edwin Jackson returns to Barça Lassa. The 1.90cm 28 year old French guard joins Sito Alonso’s team until 30 June 2018 after having played the first part of the season in the Chinese League. He arrives as a free agent and returns to the Endesa League after featuring for Barça Lassa in the 2014/15 season and then Unicaja (2015/16) and Estudiantes (2016/17). Jackson took the league by storm last season when he was at Movistar Estudiantes, averaging 21.4 points per game, the best stat in the ACB since 2005. Those figures meant Jackson was included in the all star starting five for the league. In his ACB career Jackson has played a total of 86 matches with an average of 11.8 points per game. In the Euroleague Jackson has featured for both Barça Lassa and Unicaja in a total of 35 matches over two seasons.